After the end of the Soviet Union in 1991, Russia was becoming a less popular area of studying and dealing with in comparison before the end of the Cold War. In the West, it was believed that after 1991 Russia was simply “finished” as Moscow was not anymore the capital of a Great Power state which had an important influence in global politics and international relations. In other words, the Western policymakers thought that after 1991 Russia would remain irrelevant as both economic and political power in global politics and, therefore, for instance, many university’s studies programs on Russia in the USA and West Europe were either canceled or downsized under the explanation that studying Russia was no longer important. However, all of those who shared an opinion that Russia was “irrelevant” in global politics and international relations since the end of the Cold War realized at least from the 2008 Russo-Georgian War onward their fatal mistake of judgment. Russia is “back” and subsequently Washington and Brussels declared a new Cold War on Russia in 2008 as they clearly understood that Russia is back as a military, economic, and political Great Power. Russia, as a country with tremendous energy resources, nuclear power, educated and talented people simply cannot be ignored especially from the very point of fact that Russia is actively pursuing her own national interests near its borders. Nevertheless, it became totally wrong to believe that the post-Cold War Russia was going to be an adversary to the American “New World Order”, as reborn Russia after 2000 clearly shows to be respectful Eurasian power with national interests and aspirations of her own to be both acknowledged and respected. It is a historical law that each state changes with time. However, only a few states experience dramatical change during the short period of time as Russia did it over the last 30 years. Russia has changed as a state, nation, and military power followed by her fluctuating position in global politics and international relations. Since 1991 up today Russia transformed peacefully its entire political and economic system that is relatively rear in history. When the USSR became dissolved in 1991, Russia left to be one of its 15 constituent republics which proclaimed independence forced to overwhelmingly redefine her role in global politics. The 1990s were very painful for Russia’s position in international relations as the country’s foreign policy was, in fact, supervised and directed by Washington and Brussels as the case of the NATO’s aggression on Serbia and Montenegro in 1999, for instance, clearly showed but since 2008 Russia’s foreign policy once again became an independent and gradually returning the country to the club of the Great Powers. Great Power state is in the first rank of military prowess. Great Power state has the capacity to maintain its own security and to influence other states how to behave. Great Power state is economically powerful, although this is a necessary but not a sufficient condition for the membership to the Great Power’ club (the cases of Japan or Germany are the best illustrations of this claim). Great Power state has global but not only regional spheres of national interest and action. Great Power state is running a „forward“ foreign policy and, therefore, it has a real but not only potential influence on international relations and global (world) politics. 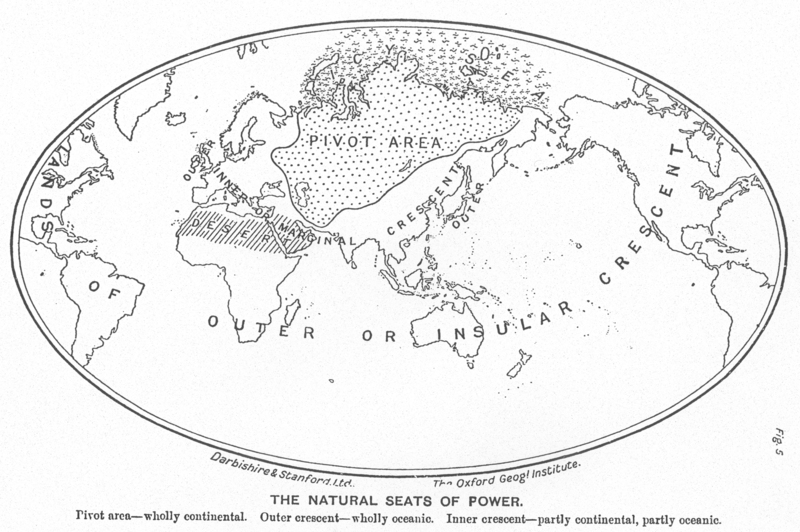 Great Power is a state (at least according to the 18th-century concept) that could not be conquered even by the combined might of other Great Powers. Russia surely belongs today to the club of key global powers having powerful nuclear weapons, growing economy, prospective economic capacities but what is most important and different to others, Russia is possessing almost endless natural resources (many of them are probably still even not discovered). From a geopolitical viewpoint, Russia is occupying the crucial segment of the Heartland – the focal geopolitical part of the world. Russia with her rich history and national traditions is today in the process of defying her new role in the current century. Behind Russia’s policies, there is a comprehensible strategy based on a firm vision of the contemporary world and protection of the Russian national interests. Substantial mineral resources, particularly of oil and gas. Significant military power, based on the second greatest nuclear potential in the world. Relatively well-educated productive segment of the population. A High-quality scientific and technological base which survived in a number of industries. Important political and economic influence on the territory of the former Soviet Union. It is predicted that Russia will remain in the future as one of the focal and strongest international actors on the same level of influence together with the US, EU, China, and rising Islamic cultures especially Iran and Turkey. Russia’s natural resources and capabilities may allow it to follow an independent line in foreign policy and security interest, both in the post-Soviet region and in some key areas of the world: East Europe, Central Asia, and the Middle East. However, Moscow’s interests will inevitably clash with those of other major actors – especially the US and its European clients. That is for sure that world order in international relations is going to continue to function according to World Systems Theory: a variant of structuralism that conceptualizes world order as being structured into 1. a rich and developed core, 2. poor and underdeveloped periphery, and 3. a number of intermediary or semi-peripheral states. Russia is going to improve its own position within the first group which includes all Great Powers who are hopefully going to govern international relations and global politics according to the principle of Balance of Power which refers to a mechanism whereby Great Power’s states collaborate with each other in order to maintain their interests against threats from those who would seek systemic dominance. Geopolitical position and the size of the country: Russia is the largest country in the world which is stretching over 17 million sq. km and covering 11 time zones. Russia is bordering the Baltic Sea in the west, the Black Sea and Caspian Sea (in fact the lake) in the south, the Arctic Ocean in the north, and the Pacific Ocean in the east. Russia is both European and Asian country which, in fact, occupies the crucial geopolitical position on the world – the core of the Heartland. Russia is sharing borders with five NATO’s member states (Poland, Norway, Lithuania, Estonia, and Latvia), faces a sixth one across the Black Sea (Turkey), and is geographically separated by only 85,30 km wide Bering Strait from the USA. Russia is bordering 16 internationally recognized states that is the biggest number of neighbors which one country has in the world. A geopolitical factor of Russia can be shortly understood if we know that anything that is happening on the territory of Eurasia from Central Europe to Japan is affecting to a certain extent Russia and, therefore, Moscow has to react by some means to that. Regional power: Russia is surely a regional power within the perimeter of Heartland which is running to realize her own political, economic, national and security interests. Russia after 2000 succeeded to develop her own independent policies toward other states including and the NATO’s and the EU’s members. The “problems” with Russia in global politics and international relations started when since 2008 Russia’s foreign policy did not in many segments correspond with strategic interests of the USA and its European and other clients of the NATO and the EU. To the full level of dissatisfaction by Washington and Brussels, Russia maintains friendly relations with two main American enemies – North Korea and Iran. The most “problematic” issue of Russian foreign policy in the region for Washington is the fact that Moscow is continuing its efforts to build multi-state economic and political coalitions with neighboring countries including and super-powerful China followed by rising powers of Iran and Russia, China, and India are already members of international bloc the BRICS together with Brazil and South Africa. The West finally in 2008 recognized Russia’s claim to have “privileged interests” within the post-Soviet territories except in those countries who joined the EU and the NATO before (the Baltic States). 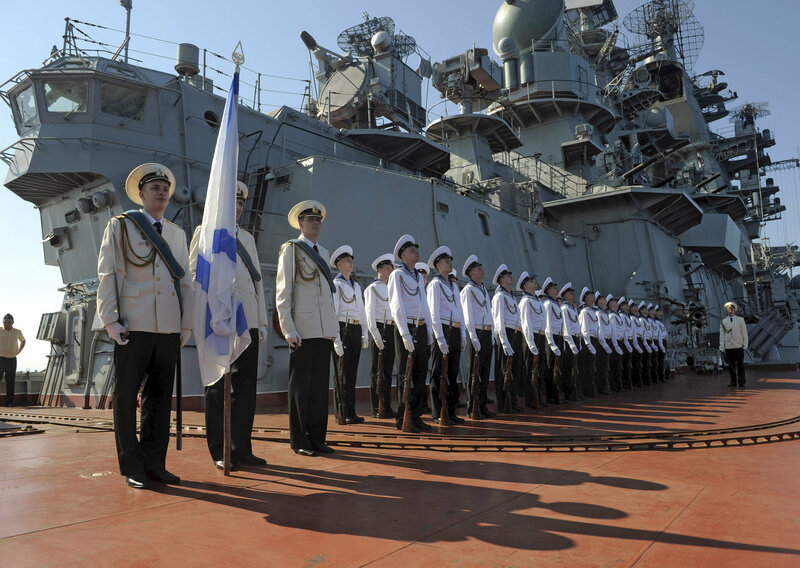 Military power: With the total dissatisfaction by the Pentagon, Russia still remains a very strong military state with respectful nuclear capacity and potentials which are keeping her as one of the Great Powers in global politics. It is quite understandable that even after the Cold War, when bare American imperialism received its full expression at least till 2008, Moscow continues with its security policy based on the priority of having strong military capacities. Historically, for the Russian authorities is quite clear that after the NATO’s establishment in 1949, Russia’s survival, independence, and sovereignty depended only on her military power especially the nuclear one. Russia (at that time the USSR) started to produce nuclear weapons in 1949 when the US created its imperialistic military bloc of Western puppet states and reached nuclear parity with the US at the beginning of the 1970s. Russia is today maintaining a nuclear arsenal and delivery systems which are comparable with the arsenal of the US. Unfortunately, due to the US’ policy of open gangsterism in international relations after the end of the Cold War, the so-called Western liberal democracies (the EU and the NATO) are still an enemy to both Russia’s and global security and, therefore, one of the most important tasks for the near future in global politics has to be the creation of new reliable policies of common security based on justice, democracy and friendship. Economic power: Russia remains to be a global economic power with a growing economy index higher than many Western countries, having a population of some 142 million that makes it one of the ten most populous states in the world. Her GDP per annum is selecting Russia among the world’s top 10 economies. In 2007, the private sector with 5 million private enterprises contributed 65% of Russia’s GDP. Although economic slowdown is possible, Russia is most likely to continue with her economic growth in the recent future. The main source of revenue (80%) are the natural resources followed by a wide range of different industries. The most important Russian export of natural resources is oil, gas, timber, and We have to keep in mind that, for instance, Russia has 23% of the total world’s forested land and being on the 8th place in the world according to the oil reserves (the first is Venezuela). After 2000, Russia became as well as one of the biggest world’s energy supplier and the exporter of the weapons (among top 3). The potential economic power of Russia comes from the fact that this country is possessing vast reserves of natural resources on her territory as, for example, 30% of global gas reserves. The country is quite near to Arctic’s gas and oil reserves, a large but still unexplored source of energy, which is probably are going to be mainly under the Russian exploitation in the future. It is not so difficult to claim that energy resources are going to be in the future the focal reason for the conflicts in international relations. Questions about the nature of Russia’s political and economic systems and Russia’s policy after 2000 are of crucial importance in understanding her place in both Eurasia and the world, and assessing the prospects for dealing with some of the focal challenges to regional and global security. The Western policymakers understood this truth only after Russia’s military intervention in the Caucasus in August 2008 that was intended to clearly demonstrate that further incorporation of areas of special interest to Moscow into the Western client zone was totally unacceptable. What the same Western policymakers also understood is that this intervention was a clear counterpunch to Western-sponsored Kosovo’s proclamation of “independence” in February of the same year. Russia is a leading political subject, strong economic and military power, a rich energy producer and supplier, extremely important player in global politics, which is still building her position in the post-Cold War era. Russia is and is going to be for a long period of time in the future both one of the crucial players in international relations and one of the most important decision-makers in global politics. However, Russia’s post-Cold War geopolitics is forced to be accommodated to the behaving of the NATO. On this war, at least from the Western perspective, see in [Roger E. Kanet (ed. ), Russian Foreign Policy in the 21st Century, New York: Palgrave Macmillan, 2011, 101−178]. Edward Lucas, The New Cold War: Putin’s Russia and the Threat to the West, London‒New York: Palgrave Macmillan, 2008. Andrew Heywood, Global Politics, New York: Palgrave Macmillan, 2011, 7. About world politics, see in [Jeffrey Haynes et al, World Politics, New York: Routledge, 2013]. Richard W. Mansbach, Karsten L. Taylor, Introduction to Global Politics, Second Edition, London−New York: Routledge, 2012, 578. About geography and history, see in [Halford John Mackinder, “The Geographical Pivot of History”, The Geographical Journal, 23, 1904, 421−437; Pascal Venier, „The Geographical Pivot of History and Early 20th Century Geopolitical Culture“, Geographical Journal, 170 (4), 2004, 330−336]. About R. Reagan and M. Gorbachev’s relations, see in [Jack F. Matlock Jr., Reagan and Gorbachev: How the Cold War Ended, New York, Random House, 2005]. On Eurasia and Great Powers, see in [Roger E. Kanet, Maria Raquel Freire (eds. ), Key Players and Regional Dynamics in Eurasia: The Return of the Great Game, Basingstoke, UK: Palgrave Macmillan, 2010]. 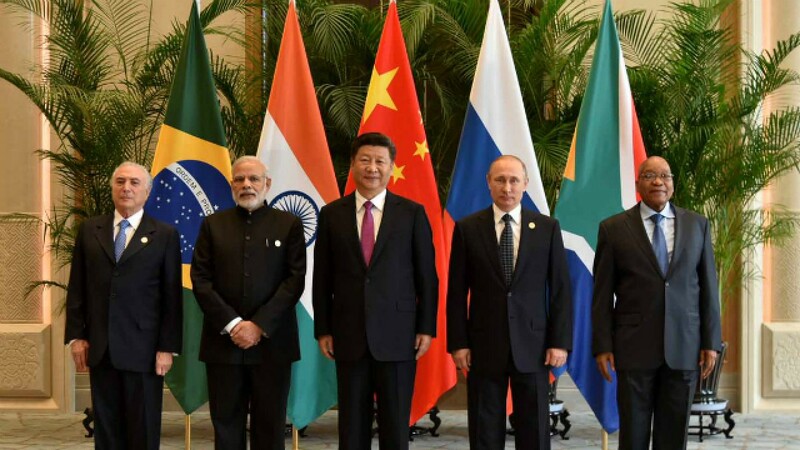 The BRICS is an acronym first used by the investment firm Goldman Sachs in 2003 (as the BRIC). Taking their rapid economic development, Goldman Sachs predicted that these economies are going to be wealthier by 2050 than the world’s current economic powers. About the foreign policy of Russia in the 21st century from the Western perspective, see in [Robert Legvold (ed. ), Russian Foreign Policy in the 21st Century and the Shadow of the Past, New York: Columbia University Press, 2007; Roger E. Kanet (ed. ), Russian Foreign Policy in the 21st Century, New York: Palgrave Macmillan, 2011]. About this issue, see in [Richard Pipes, Survival is not Enough: Soviet Realities and America’s Future, New York: Simon & Schuster, 1984]. Robert Legvold, “The Russian File: How to Move Toward a Strategic Partnership”, Foreign Affairs, July/August 2009, 78−93. World Resource Institute: www.globalforestwatch.org/english/russia (2009). About the post-Cold War geopolitics of Russia, see in [Срђан Перишић, Нова геополитика Русије, Београд: Медија центар „Одбрана“, 2015]. About the new Cold War, see in [Robert Legvold, Return to Cold War, Cambridge, UK−Malden, MA: Polity Press, 2016]. Excellent showing Russia’s influence in the world. Would be great if the U.S. had an alliance with Russia and not an adversary.